I love the skin, wish for a wall without text. Upcoming skin by Don5318 called Gamma. Wallpaper by me, one of my Geared Up walls. HAL 2030 Winstep by WebGizmos. Cursor is Magmar, by TYCUS. Icon package is Xydron, by Neone6, aka Andrew Gonzalez. Upcoming WB by LightStar called 51. 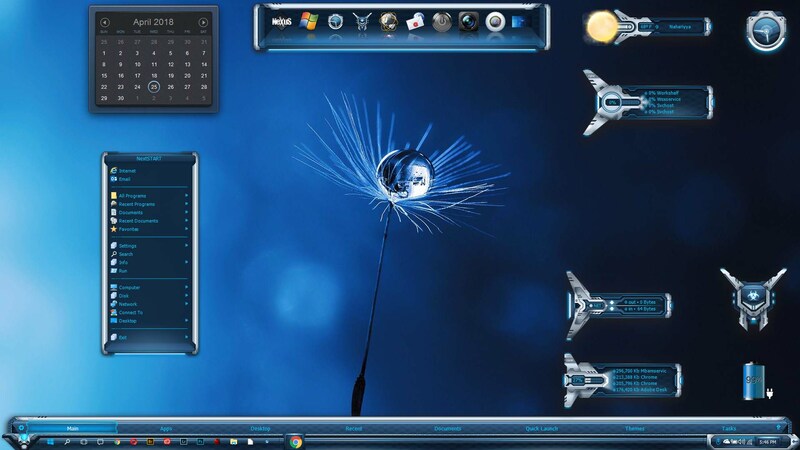 Winstep by WebGizmos and Cursor by Boxxi are Sirus. 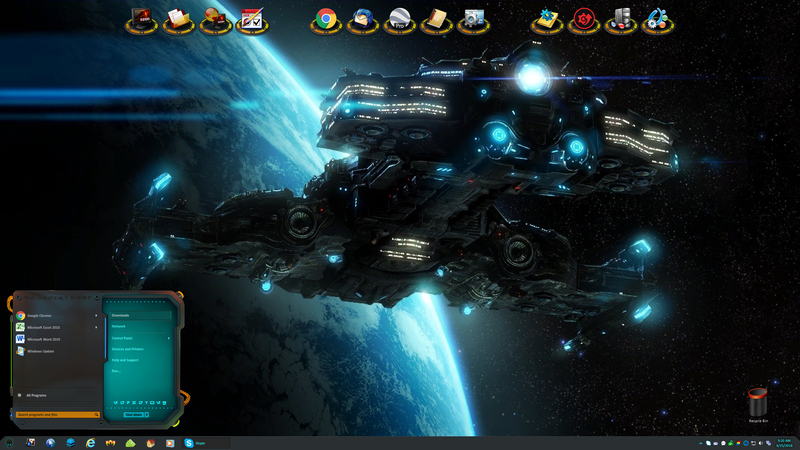 Wall is Remnant NGC-7D5 5760x1080 by submicron. Tom, what wall is that? Thanks for putting the link up Jim!